Apple is offering up further insight into what the new M7 'motion co-processor' within the iPhone 5S can do, including its integration with the iOS Maps app. 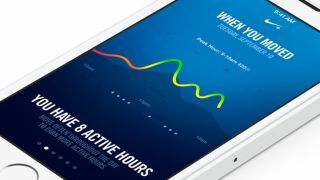 The new processor harvests all of the data from the iPhone's compass, accelerometer and gyro motion sensors and aims to power a new generation of fitness and wellness apps such as Nike Move. However, in a post on its website, spotted by 9to5Mac, Apple explained how the M7 chip also plays nice with the Maps app because it can discern when you're in a moving vehicle and when you're walking. Bestowed with that information, once you park the car and continue on foot, the Maps app will handily switch from turn-by-turn driving directions to walking directions. Also, when you're driving in your car or riding on public transport, the iPhone 5S will ignore public Wi-Fi networks. If the phone hasn't moved for a while, M7 will save battery by pinging for updates less often. Apple's description read: "M7 knows when you're walking, running or even driving. For example, Maps switches from driving to walking turn-by-turn navigation if, say, you park and continue on foot. Since M7 can tell when you're in a moving vehicle, iPhone 5S won't ask you to join Wi-Fi networks you pass by. "And if your phone hasn't moved for a while, like when you're asleep, M7 reduces network pinging to spare your battery." Apple is also plotting further Maps integration in forthcoming iOS updates, according to 9to5Mac, and we could see significant Maps updates in iOS 8. Soon it will be able to remember where you parked your car, making finding it after a day's shopping much easier. Meanwhile, in other iPhone 5S and 5C related news, the devices' stop off at the U.S. FCC appears to have revealed their respective battery sizes. The iPhone 5S is a reported 1570mAh, while the iPhone 5C reportedly packs a 1507mAh battery. That equates to a 10% and 5% increase over the iPhone 5's 1440mAh cell. The company has promised an extra two hours of talk time for the iPhone 5S (10 compared to the iPhone 5's eight), with the improvements thanks largely to the efficiency of the new A7 and M7 processing team. Are you ready for iOS 7? The launch is less than a week away.